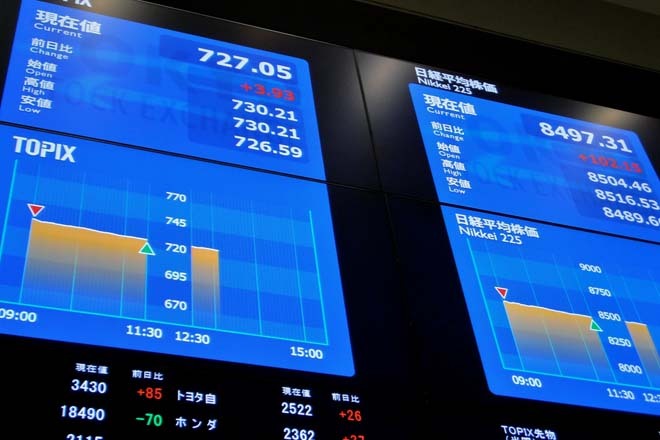 Aug 22, 2015 (LBO) – International markets took a beating on Friday on worries about China’s economy. The Dow Jones Index fell 3.1 percent to finish at 16,459 points. The market is down 10 percent from its all-time high in May after its 1,000 point drop this week. This has been the dow’s worst week in four years. Stocks began falling last week after China announced a devaluation of the yuan. On Friday, there was more negative economic data. A reading of business activity in China known as the Caixin purchasing index fell to 47.1. Anything below 50 suggests business activity is shrinking. A slowdown in the Chinese economy could affect companies such as Apple which depend on demand from China. Apple Inc. shares fell six percent. China’s Shanghai Composite market index plunged 4.2 percent on Friday. Brent Crude oil prices were similarly weaker down 2.5 percent to 45.46 dollars per barrel.